Change Management 101 was a key theme for this coaching discussion. If this is your first visit, you should start with the background here. With our young entrepreneurs out in the market with an open mind, they have come up with their own ideas. Two of them discovered a problem that seems widespread in their community. It is not straightforward to pay utility bills. It involves either a bus journey or an intermediary that is not always trustworthy. Prospective customers seem willing to pay a small commission to take away the hassle. There may be a business opportunity here. In our call, we discussed what I call Change Management 101. People much prefer working with ideas they come up with themselves. This is particularly true in the world of entrepreneurship. Taking a pre-packaged product to market is less likely to succeed than building a product based on market demand. 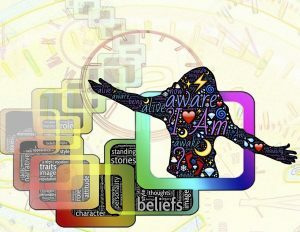 Opportunities that seem obvious from an external perspective are often far from obvious to the target user. Sadly, International Development is littered with well meaning projects that never quite engaged the intended beneficiaries. Instead, we build the confidence and process skills in our entrepreneurs to spot opportunities. Then, working with them to refine, develop and market them, assures full engagement. This lesson is useful to learn. It will serve our Rolls-Royce aspiring leaders well for the future. It is, after all, one of the primary reasons why change and innovation projects go wrong. We also discussed the “Mechanical Turk” approach to developing a service business. 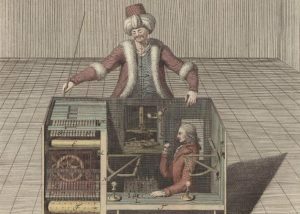 By way of explanation, a mechanical turk appears to be automated, but in reality relies on people. We can start a new venture without any technology or automation. We deliver the whole service by hand. If customers like it then demand grows and with it the opportunity to cut out duplicated effort. With further growth, more areas for efficiency emerge. We can also spot which of the services are most difficult or costly to deliver. Now technology can make a difference. We prioritise the biggest pain points. Where can automation cut out duplication or reduce the time taken? Can communication technology reduce time in transit? Innovative solutions emerge from addressing these points, often significantly different from what we thought at first. Sometimes, just bringing in low skill resource to do simple tasks is the best option for scaling. Bloated specifications and rework result from deploying technology too soon. Business processes often turn out different from those expected at the start. Too many change management and digital transformation programs lead with technology. Evolving the processes and then automating them is far more efficient. Our aspiring leaders are starting to see for themselves how these risks and costs can be avoided.